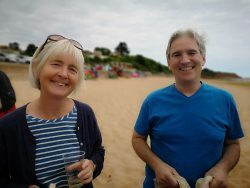 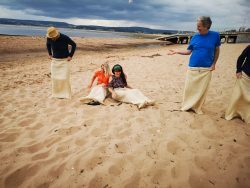 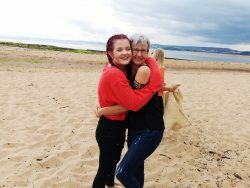 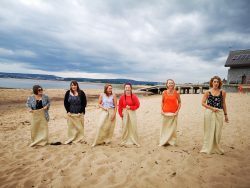 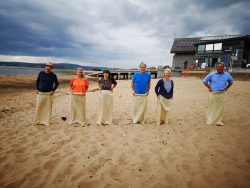 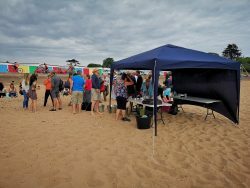 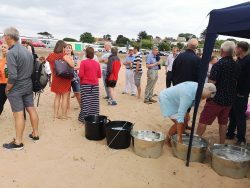 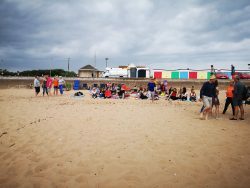 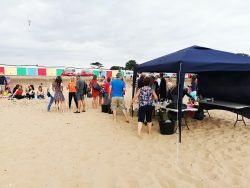 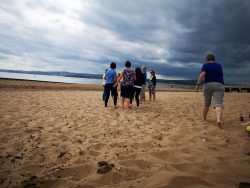 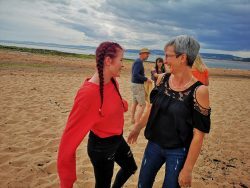 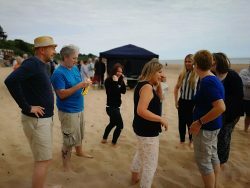 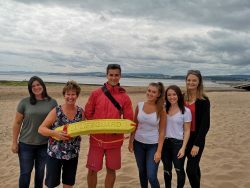 Last week, on 18th July, we had our summer staff social at Exmouth beach, near the Exmouth Lifeboat Station. 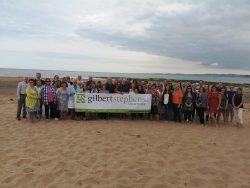 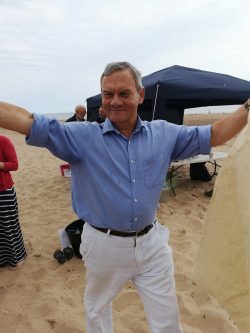 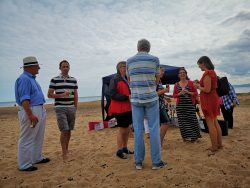 It was great to see staff turn out from all 6 of our branches and make the most of the sunshine by the sea. 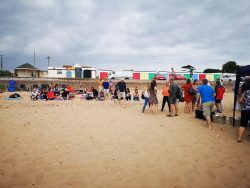 After some initial chat we attempted the Gilbert Stephens Summer Games which included a three-legged race, an egg and spoon race and a sack race, we were very impressed at the sporting prowess on show, the egg balancing showed some superb skills and there were some phenomenal bursts of speed in the sack and three legged races – with the odd face in the sand. 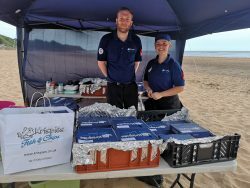 Some well-deserved fish and chips were enjoyed after all the efforts of the Games, big thanks to Krispies of Exmouth who provided us with a delicious meal which included their famous battered chips.